Types Of Doctors That Specialize in Back Pain | Which One Is Right For Me? If you have back pain, there are a number of different specialists that can help. Back pain can be caused by a number of different reasons, and as a result, there are a number of different doctors that specialize in treating back pain in different ways. It can be difficult to know which type of doctor to see, so we have compiled a list of some of the most common back pain specialists, in order for you to make a more informed choice about your future treatment. Family physicians are often the first medical specialist you go to when there is something wrong with your body. They can help you to diagnose the cause of your chronic back pain, and provide simple treatment options such as prescribed pain medications, to relieve the feeling of the pain. If your back pain is unable to be treated by your family doctor, they are able to refer you to a different doctor that specializes in back pain. So often they are a good first step to reducing your back pain, but they might not be the only professional you need to see. It is important to note that the majority of pain medications prescribed by primary care physicians for back pain are opiates. These can be highly addictive and can have significant side effects, such as nausea and vomiting. They also don’t actually treat the cause of the pain, they only mask it. Another type of doctor that specializes in back pain is an orthopedic surgeon. If your back pain is caused by a muscle or a spinal problem, an orthopedic surgeon might be able to help you. They can focus on back pain that is caused by conditions such as a herniated disc. They are certified in providing you with treatment options for spinal surgeries to alleviate this back pain, and fix the cause of the problem. Sometimes, your back pain may not require a surgical approach to treatment. There are many treatment options that are far less invasive that you might like to try first, before resorting to surgery. It is important to remember that not all back problems actually require surgery, it is all about each specific case. A physiatrist, also known as a physical medicine and rehabilitation physician, can diagnose and treat back pain that is a result of an injury. They will work with you to create a personalised plan treatment plan, comprised of exercises that are specific to your condition, often together with a physical therapist. They can show you how to build muscle and regain movement without causing pain, how correct your posture and straighten your spine, or exercises to facilitate weight loss, taking pressure off your spine and alleviating your pain. This is an excellent option for someone who is suffering from stiffness and joint pain caused by conditions such as osteoarthritis. While this is a type of treatment for some people suffering from back pain, not everyone may benefit from this type of care. A chiropractor is another type of doctor that specializes in back pain. They focus on loosening your spinal cord, so that any pinched nerves or slipped discs can be maneuvered back into their rightful place. They can provide pain relief for conditions such as facet joint dysfunction, a condition caused by overextending your spine and moving one or more of the facet joints out of place. Through aligning your spine, they hope to target the cause of your back problem, reducing reduce the pain you feel at the same time. However, this is treatment method does not work on all types of back pain. If your injury is due to osteoporosis or a connective tissue issue, this method of treatment can exacerbate your problems. It is important to always communicate with medical professionals, and ensure that they know what they are doing. Neurologists are surgeons who specialize in understanding and back pain caused by the spinal cord, muscles or nervous system. They have the ability to run a number of tests, such as CAT scans and MRIs, to help to distinguish the cause of your pain, and then work with you to create a treatment plan. If a neurologist can treat your type of back pain, they will generally do so by prescribing medications. This will ease your pain, but will not alleviate the root cause (although sometimes back pain is incurable, unfortunately). They may also refer you to a different type of specialist, who can help you. Help! Which doctor that specializes in back pain is right for me? There are clearly many different types of doctor that specialize in back pain. All of them focus on different types of back pain, different causes of the pain, and different types of treatment options. These are important factors to consider when you are deciding where to seek medical help. We understand that it can be difficult to try and know where to start, and it may feel frustrating as you try different options, seeking to find one that helps you. We recommend trying a pain treatment clinic. A pain treatment clinic is a one-stop shop for understanding and treating back pain. The clinic houses a number of different medical specialists, who are all highly trained in different areas, but all function as pain doctors, to relieve your pain. They will help you to diagnose the cause of your back pain, and work with you to find a treatment option that is likely to help, and suits your preferences. What is a Pain Treatment Clinic? A pain treatment clinic, such as Pain Treatment Specialists, is exactly what it sounds like. A group of diverse medical professionals who are dedicated to relieving your chronic pain, no matter the cause. This way, you do not have to search for different doctors that specialize in back pain, they are all in one facility for your convenience. 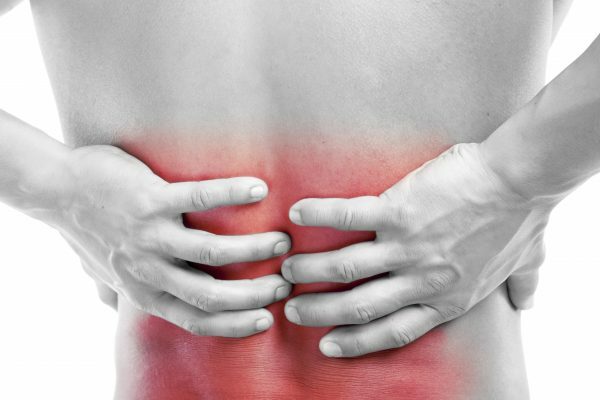 At Pain Treatment Specialists, we focus on pain relief that does not involve large surgeries or addictive painkillers, but options that target the source of your pain in the least invasive way possible.For example, instead of spinal surgery, we like to try methods such as Sacroiliac Joint Injections, to treat back inflammation and numb the corresponding pain. We have a number of different doctors that specialize in back pain, as well as other types of pain. We work directly with you throughout the whole journey, to come up with a diagnosis and treatment plan that you are comfortable with. Our team of pain treatment specialists are highly trained in many different causes and treatments of back pain. All of our back pain doctors were trained at Ivy-League schools, and work out of state of the art facilities. At Pain Treatment Specialists, we are constantly researching new and improved methods of treatment, to ensure that our patients receive the finest care. We operate as part of the VIP Medical Group, who are some of the top pain treatment institutes in New York and New Jersey. We have multiple locations throughout Ny and NJ, enabling you to find one that is convenient. To book an appointment with one of our clinics, simply fill in the online form, or give us a call at 1-646-904-8887 during business hours. We look forward to hearing from you, and helping you to live a life without back pain!